50,000 at Chicago Families Belong Together march | Fight Back! 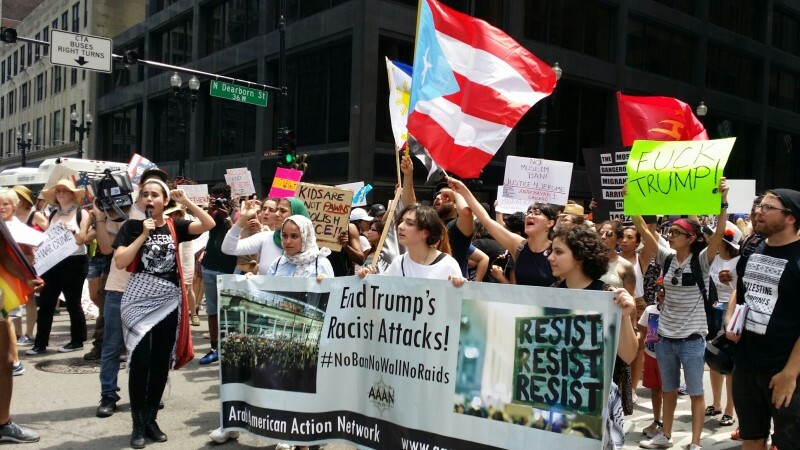 Chicago, IL – About 50,000 people rallied and marched in Chicago’s Loop, June 30, to protest the Trump administration for separating kids from parents at the U.S.-Mexico border. The cruelty of this practice brought together over 100 organizations under the slogan Families Belong Together. Also, on Friday, June 29, over 300 people gathered in the mainly Chicano/Mexicano neighborhood of Pilsen in a march to demand the abolition of ICE (Immigration and Customs Enforcement) and an end to family detentions.